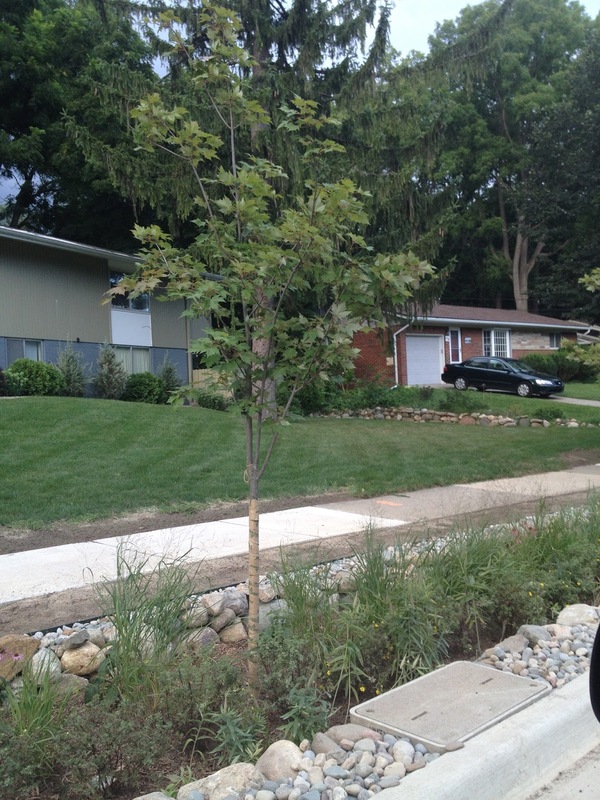 Looks like they are installing rain gardens in the easements along the newly re-paved portion of Miller Road. 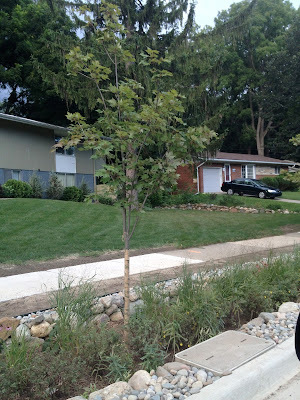 All the heavy rains we have had this year, I'm really starting to see the wisdom behind including stormwater mitigation features in other construction projects. Though in terms of tree choice, I think they could have done a little better. Silver maple (Acer saccharinum)? Really? Don't we have enough of them as street trees already? What about some other floodplain species? Bur oak, swamp white oak, sycamore, Kentucky coffee tree? I just feel like silver maple shows a lack of imagination. I don't know what a Kentucky Coffee Tree is, but based solely on the name I am heavily in favor of growing them on our streets. Preferably in front of my apartment.